Advocate Sanjay Parekh, appearing for the petitioner NGO -- 'Citizens for Green Doon' -- said that the NGT has cleared the project and set up a committee to oversee the project. 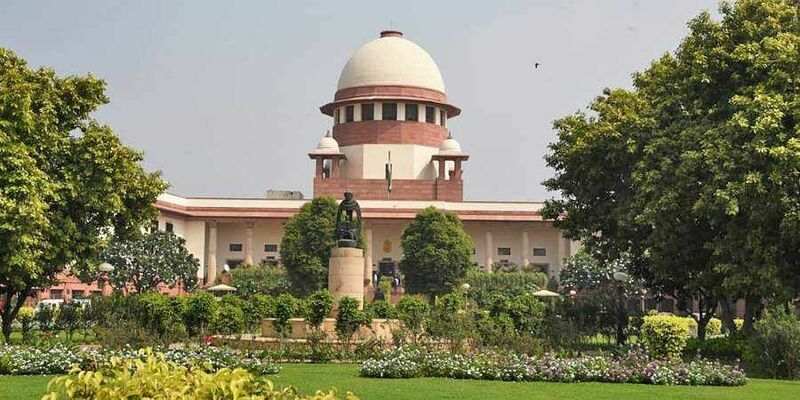 NEW DELHI: The Supreme Court on Monday sought the Centre's response as to why it should not stay the National Green Tribunal (NGT) order clearing the ambitious Chardham project, which proposes to provide all-weather connectivity to the four holy towns of Uttarakhand. A bench of Justices R F Nariman and Navin Sinha said that the Centre should file its response in two weeks. The four towns of the hilly state to be connected by all-weather roads are: Yamnotri, Gangotri, Kedarnath and Badrinath. To this, the bench said that the petitioner can go before the committee with its grievances. Parekh said that if the project is allowed to go on then an irreversible damage will be done to the ecology which will be equal to damage done by 10 hydropower projects. He said that NGT of late has been allowing the projects to go on after constituting 15-20 committees to oversee the projects. Parekh said the Centre was deliberately constructing the 900 km long projects in bits and pieces to avoid the necessity of environmental clearances. He added that mountains in Uttarakhand are very fragile and if environmental concerns are not taken care of then Kedarnath type tragedy which took place in 2013, can happen again. The Kedarnath area in the state had received unprecedented rainfall between June 14-17 in 2013 and the Chorabari lake there had collapsed due to cloudburst resulting in a major flash flood. Several roads, buildings and other structures were washed away and, according to the state government, the estimated death toll was around 10,000, with over 3,000 persons missing. "We cannot stay the order without hearing the Centre. Notice on stay returnable in two weeks," the bench said. On September 26, the green tribunal had constituted a committee to monitor the ambitious project while giving its nod with some safeguards in view of the larger public interest and the country's security in the construction of the highway. "We are of the view that all environmental concerns can be addressed by having a responsible and independent oversight mechanism which may monitor the environmental safeguards during the execution of this project," the tribunal had said. It had said that the statutory environmental impact assessment under the Environment Protection Act, 1986 was not required in view of exemption granted through a notification dated August 22, 2013. The tribunal constituted a committee headed by former Uttarakhand High Court Judge Justice U C Dhyani to oversee the implementation of Environment Management Plan (EMP) of the project. The NGT had directed the authorities to devise a mechanism to provide pedestrian pathways for devotees who undertake to do 'padyatra' to the religious places viz Yamnotri, Gangotri, Kedarnath and Badrinath. It also asked the concerned authorities to devise a policy whereby diesel vehicles which are more than 10 years old and petrol vehicles which are over 15 years old are prohibited to ply along the entire road length of the project. "The Chief Secretary, Uttarakhand and the Uttarakhand Administration shall devise a policy by way of introduction of E-vehicles and CNG buses in a time-bound manner," the green panel had said. The apex court had on August 27, asked the NGT chairman to accord "one clear day" to an original bench, which had heard petitions dealing with environmental clearance issues related to Chardham highway project. The top court had clarified that since the issue appears to be a complex one and has been heard over several days by the original bench, the re-hearing can only be done by NGT on some finer aspects. It had said the trees and mountains are also of national importance and it is the government's duty to protect and preserve them. The Environment Ministry had earlier informed the NGT that it has received no proposal for environmental clearance of the project and hence the question of an environmental impact assessment (EIA) study of such a project does not arise. The ministry also said that under the 2006 EIA notification, only new national highways and expansion of highways over 100 km need to get prior environmental clearance. The submission was made in response to a plea of the NGO which said that the 900 km project in the hilly state was being carried out without any environmental impact assessment.